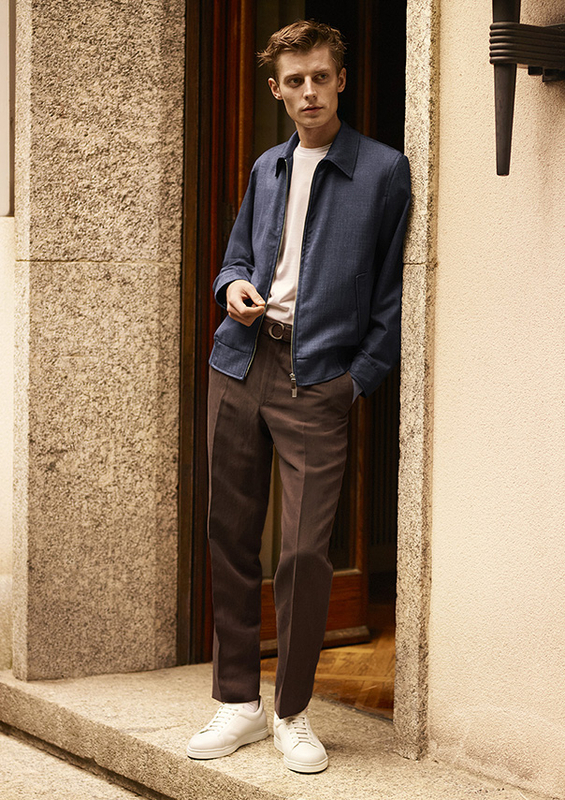 The Spring Summer 19 collection uproots the relationship between formal and casualwear, hitting a visual reset on traditional style. 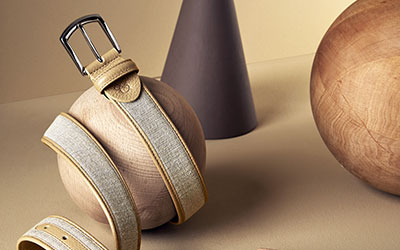 Natural tones of rich brown, burnt Sienna, and deep green mingle with ethereal hues of rose and powder blue; invigorating combinations carve out a world of aesthetic possibility for the modern man. Every aesthetic contains an inherent poetry. A man intentionally chooses to express himself through the way he stands, listens, crosses a room. Through his personal style via fine lines, precious blends, textures, and colors. The way one presents himself to the world cannot be replicated, making individuality the most profound of all artistic feats. A relaxed cable knit sweater in idyllic powder blue complements tranquil afternoons full of literary classics, games of billiards, intellectual conversations. 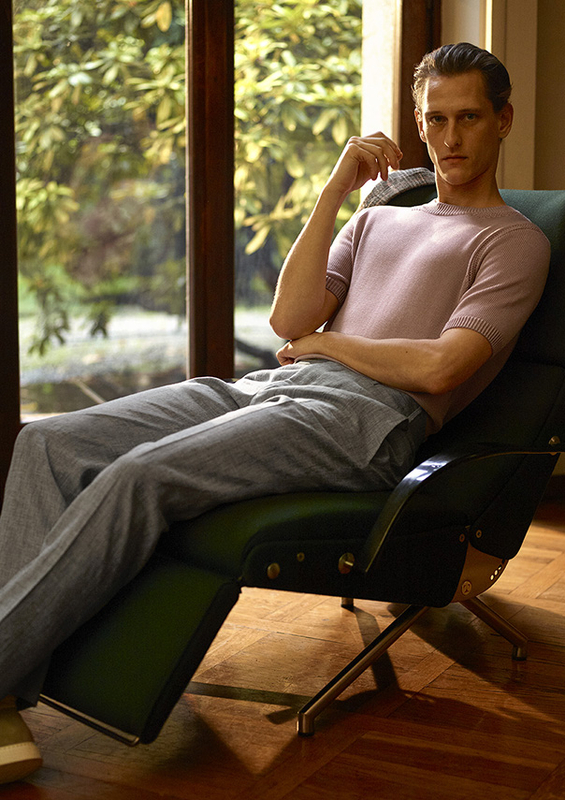 Tailored pants in a cotton-linen blend are delicately soft yet inherently elegant, seamlessly linking leisurely daytime pursuits with evenings of social soirees. A powder blue polo, honest and pure like a morning sky, is a casual nod toward relaxed bliss. Layered beneath a blazer, it reads like a welcomed exhale, loosening the reigns of traditional business dress. He smiles knowingly, a leading man unafraid to break the rules. Quietly, elegantly, and confidently paving his own way. He withdrawals for a country retreat, seeking inspiration and tranquility. His suitcase contains celestial pastel hues, intricate knits in precious fabrics, deconstructed jackets, and the works of great classic novelists. He draws energy from nature, finds answers in art, effortlessly expressing himself with charismatic separates in calming tones. 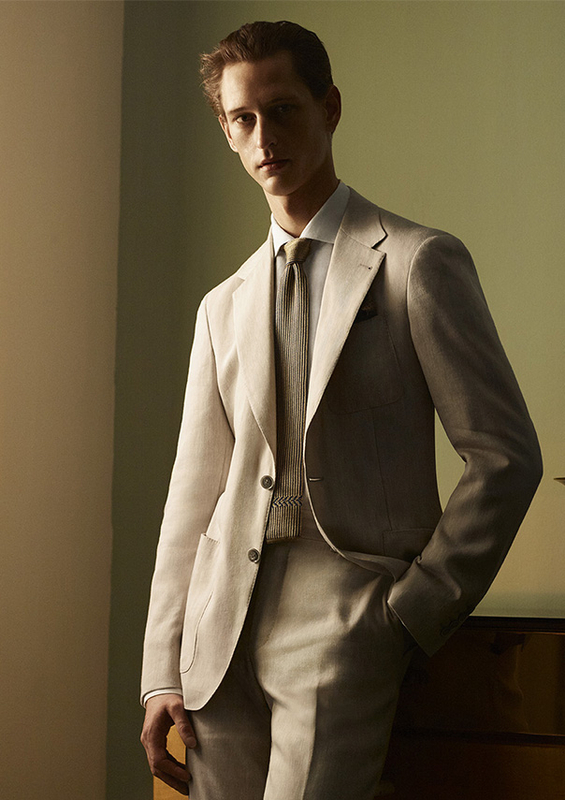 Soothing shades reminiscent of a seaside escape, sandy beige and cool stone gray, emerge as the leading colors of our summer suit. 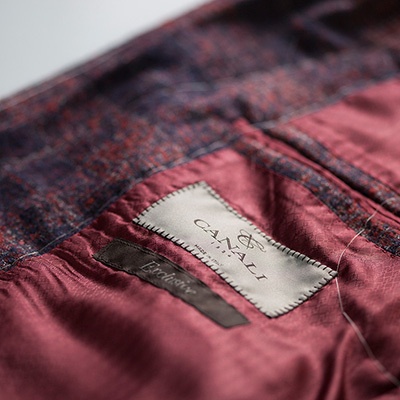 Elite materials like opulent silk and wool combine with linen to lend formal affairs a welcomed weightlessness during the summer. A man’s suit serves as a vehicle for communicating identity. 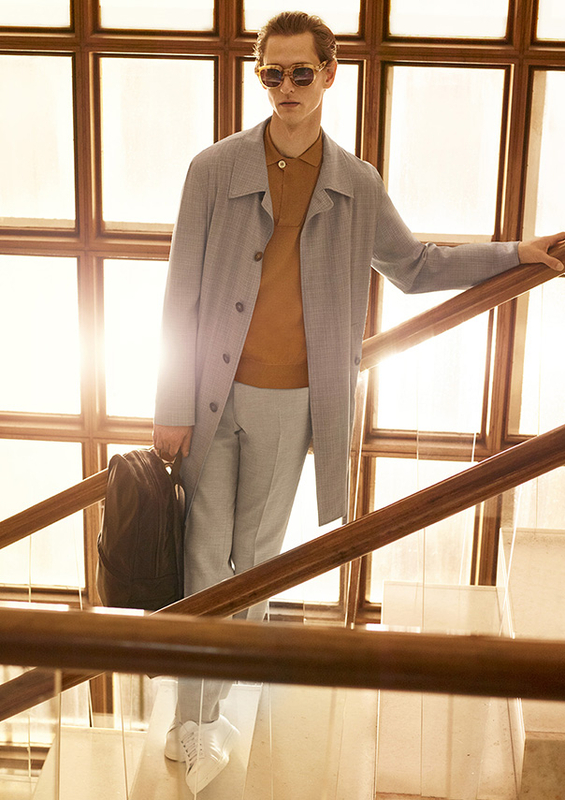 A tailored silhouette in a cool shade of light gray illuminates his seasonal wardrobe, counterbalancing summer’s grasp through expert construction and innovation. Premium wool, silk and linen redefine formalwear with a refreshing weightlessness, carving out space for year-round elegance on the style continuum. Sartorial dress is a conscious choice, fueled by the desire for enduring elegance. 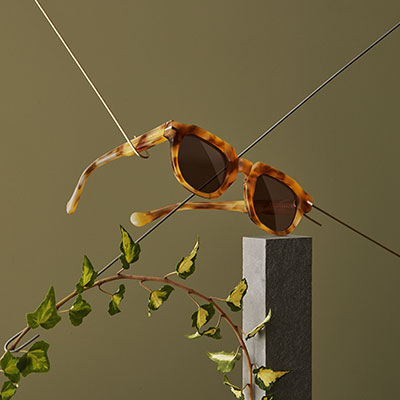 Fine materials, exquisite details, and superior craftsmanship, seamlessly fuse, projecting a timeless essence. 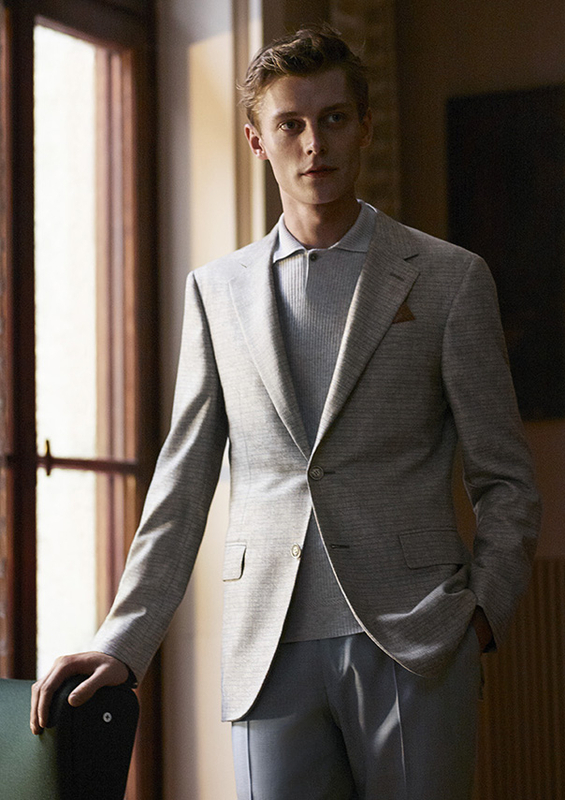 The linen suit is the summer manifesto of relaxed refinement, rendered in tranquil, sober hues. 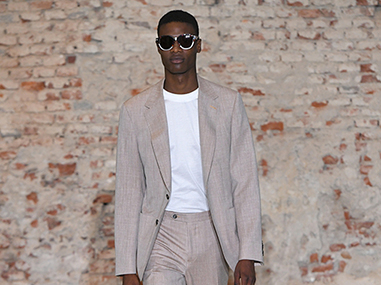 The summer suit reinterprets the structure of tradition by shedding the weight of winter. 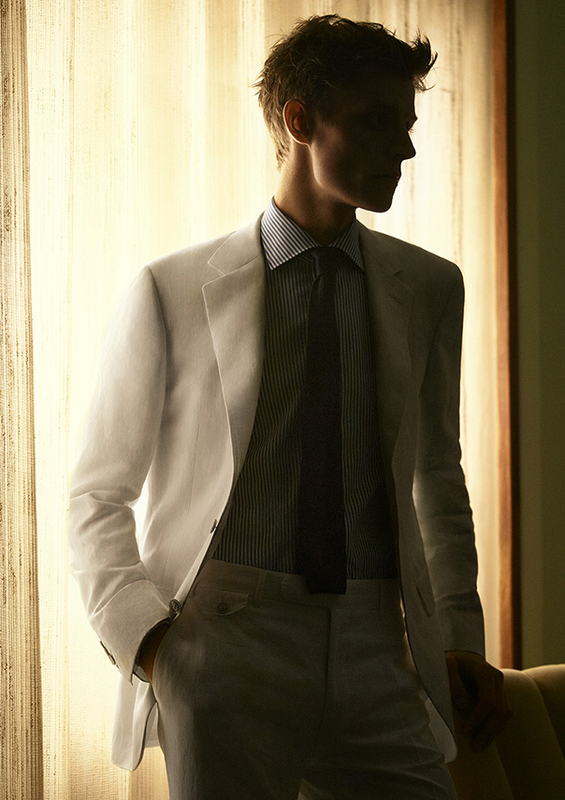 Lightweight linen and crisp clean lines reinvigorate the sartorial staple, thus reinvigorating the modern gentleman. 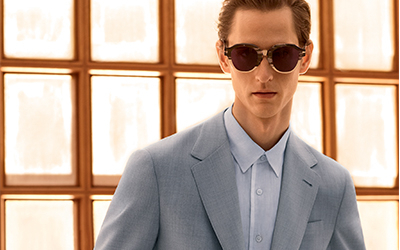 The Canali name is an icon of Made in Italy tradition, one that evolves with the stylistic codes of the moment. 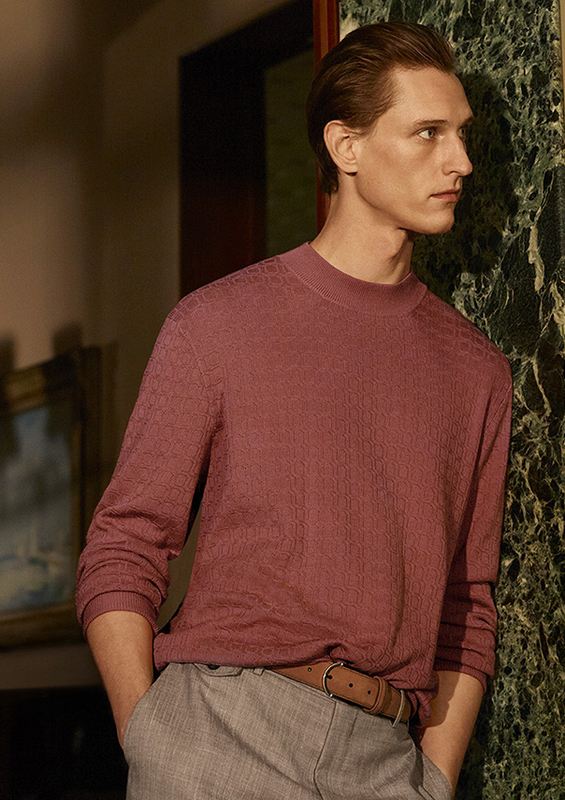 The name surfaces on a soft beige crew neck sweater, a distinguished sign of unparalleled excellence. 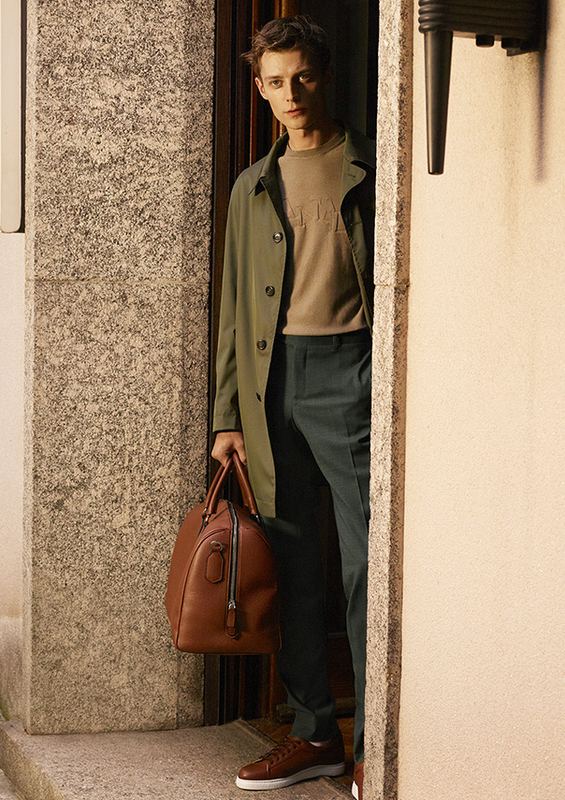 Intriguing dark green pants and leather accessories bring the look full circle, paying a discreet tribute to the nuances of nature. Warm, earthy tones of tobacco, blue, and burnt Sienna, conjure up images of a rural landscape, illuminating the way as the dark of winter brightens into spring. 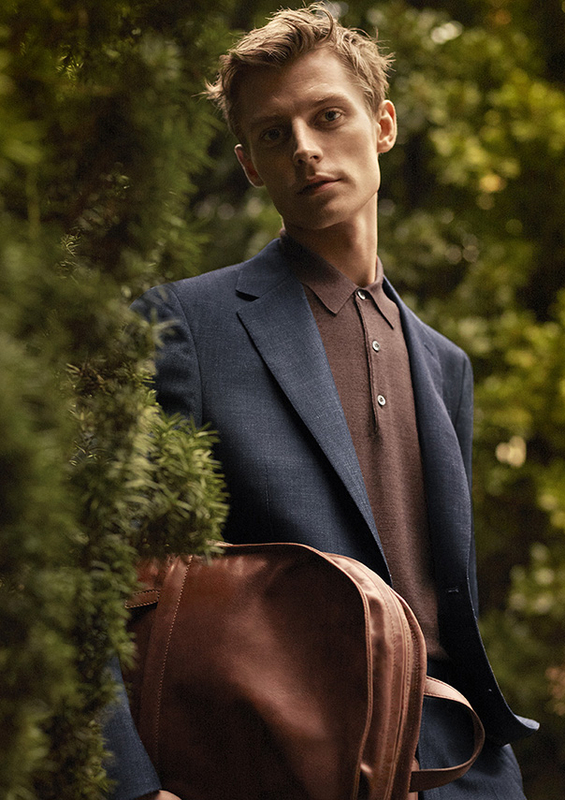 The modern man confidently curates his looks – a simple polo beneath a pensive blazer, a smooth leather backpack in place of a briefcase. 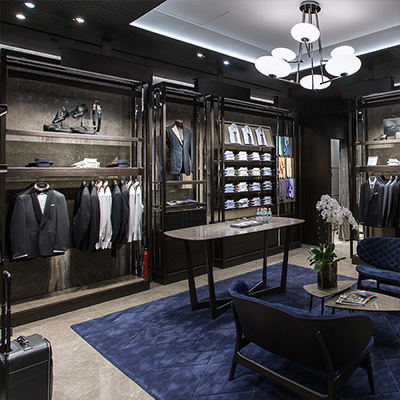 Luxurious formal and casual separates converge in a symphony of deliberate contrast. The pace of modernity favors versatility, blurring the lines between meticulous refinement and informal authenticity. Sometimes novelty is blatant, an eye-catching hue of petrol blue. 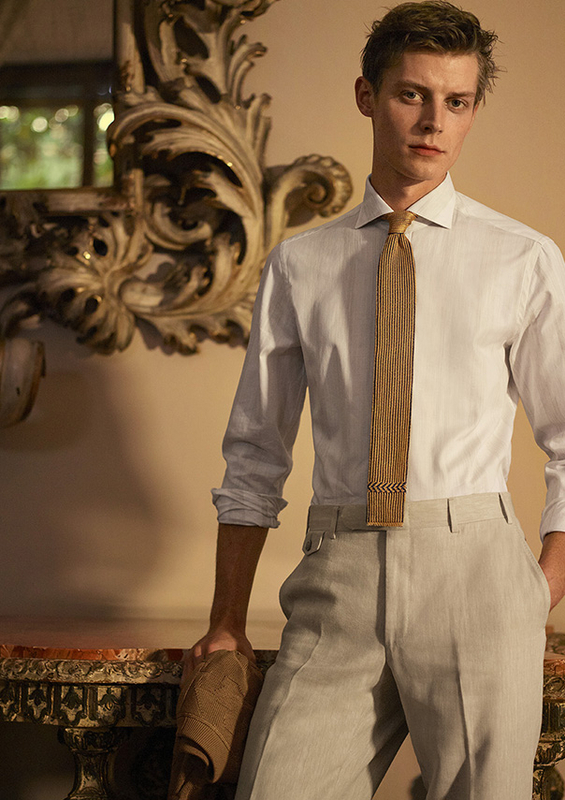 Other times, it manifests through minuscule details; a dress shirt with rolled up sleeves, delicate linen blends, woven ties with square bottoms. He transitions through the city, stylishly suspended between winter and spring. 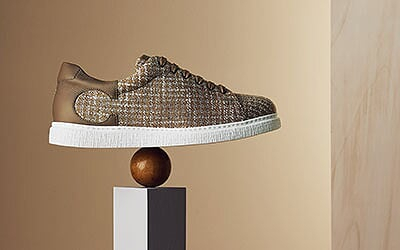 Calm, unhurried, and self-assured, he sports relaxed separates in rich chocolate brown and faded blue. A collared bomber jacket, white leather sneakers, and pleated trousers, juxtapose an air of supreme dignity with relaxed nonchalance. As eager spring washes over the remnants of winter, man too must adapt, stepping in time with her zealous mission. 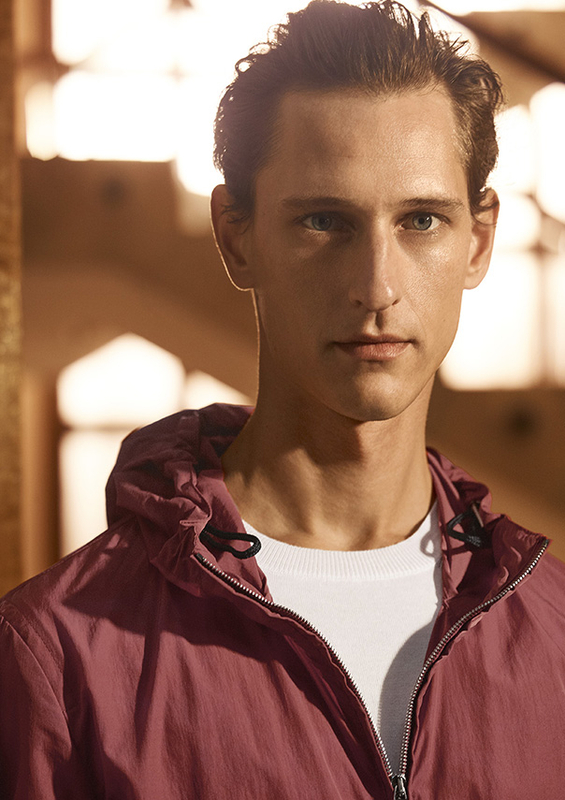 A functional jacket easily layers over lightweight separates, catering to the ebb and flow of the rainy season, brightening the cloud cover with a flash of striking terracotta. Rushing through life, one misses the marrow. Walking at half-pace, you open your eyes to the little complexities, like a crisp inhale, a long lost clue hidden in plain sight. Intricate carvings on the façade of a building, textured knits carefully handled. Seemingly comprehensible from a distance. Anything but up close. The modern man is always in motion, subject to the unforeseen. Impeccabile is the innovative solution; creaseless, breathable, and water-repellent with natural stretch. It moves with you, navigating life’s curves, battling the winds, always prepared for the unexpected. Undeterred by distance and driven by passion, he leans toward life, jumping at the chance to explore new lands, maneuvering through the world with heart, grace, and style. He sports serious garments – a smart Prince of Whales car coat, a quirky ochre crossover polo, and soft heather gray pants – offsetting them with dynamic accessories. 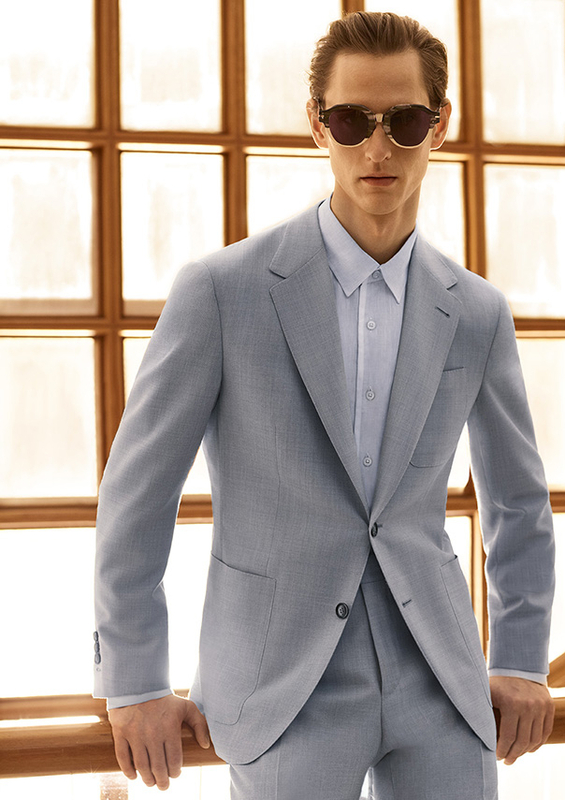 In the heat of summer, the ultralight blazer rescues refinement, keeping professional composure in check and freeing the body with an imperceptible weightlessness. 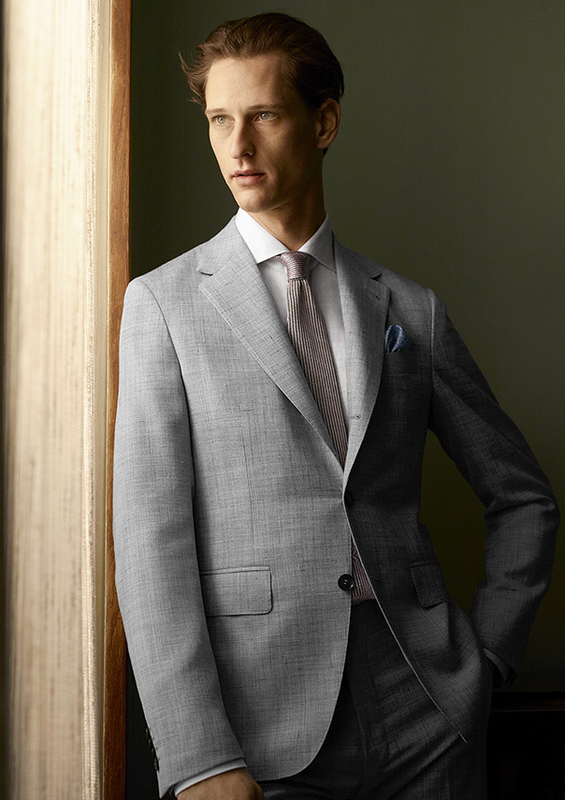 The Canali man conquers each formal engagement, exquisitely dressed, confidently poised, and perfectly at ease.